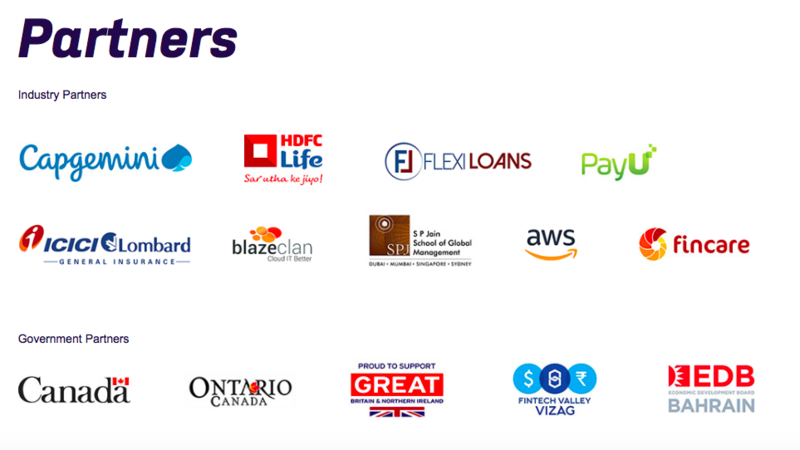 Fintegrate Zone is a fintech thought leadership conclave focusing on the future of technology in financial services within India and beyond its borders. Startups are the key to a FinTech revolution and, F50 offers them a chance to network and meet the top influencers and big companies in the field, to foster innovation, networking and collaboration among them. Select 50 startups from across India, will get to exhibit their product at the international convention centre of the iconic Bombay Stock Exchange building. 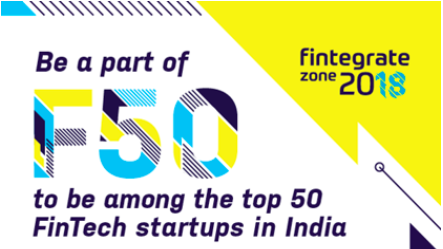 The erstwhile trading floor, which has gone onto witness the IPO announcement of several blue-chip companies and legendary entrepreneurial ventures, as well as been witness to keynotes by international diplomats and businessmen – will now be the demo zone of top-50 FinTech startups of India. We understand that not everyone may be interested in all components of the program. The Investors Zone is for FinTech startups which have hit the ground running, and are looking to scale towards their next milestone – for which they need funding. At Investors Zone, we have identified 20 VC firms, that will be setting up tables to meet with 25 pre-qualified FinTech startups that meet their investment mandates and criteria. Our team will qualify each applying Fintech startup and screens investors interest prior to the meeting. Startups and investors will then be matched, based on the investors’ mandates and the Startups’ description. Matched parties will be introduced in pre-scheduled one-to-one meetings. B2B Zone gives an opportunity to startups for having focused 1:1 meetings with large corporates that they have been targeting at in the BFSI sector. These focused 30-45 minute meetings will give the startups a chance to actually spend quality time with the decision makers of these companies; people who actually have the authority to decide on the viability of a POC as well as sanction contracts and cheques. B2B Zone from the '17 edition resulted in 13 successful POCs and 3 large customer contracts for the startups. Considering the huge response from '17, B2B Zone at Fintegrate Zone '18 is going to be bigger and with a lot more corporates involved. "Fintegrate Zone 2017 was a really productive event for us at vPhrase. We met a lot of prospects and a few of them have also converted into paying clients. The speakers at the event were knowledgeable and their talks were informative. We would surely like to be a part of Fintegrate Zone 2018." "F50 is one of the best opportunities for startups in Fintech ecosystem to get an exposure to the industry. We were able to meet with industry thought leaders, potential customers and influencers during the two day event. It's definitely a must attend for startups looking to move up a notch in their traction." "Fintegrate Zone 2017 was a terrific event. It was entrepreneur friendly and one of the most productive events that I have attended. They invited top quality startups and organized assisted interactions with forward looking corporations and investors. It was a unique concept and it helped many to gain clients. Highly recommended." Be a part of this initiative to get access to great networking opportunities.